Everything Now by Steve McKevitt – If you like a good grumble about how the modern world is heading to hell in a handcart, this book holds a mine of ammunition for you. Written by an expert in the field, this is a shocking and funny whistle-blowing account of the techniques that are employed to mould public opinion, shape how we behave and control what we think. ‘Read this before you shell out for a new, ever-so slightly shinier mobile phone or pay a premium for anything that goes out of its way to convince you how ‘ethical’ it is.’ – Time Out, Book of the Week. The Train of Ice and Fire by Ramon Chao – Quite simply, a chronical of one of the craziest rock tours ever attempted. Colombia, November 1993: a reconstructed old passenger train is carrying one hundred musicians, acrobats and artists on a daring adventure through the heart of a country soaked in violence. Leading this crusade of hope is Manu Chao with his band Mano Negra. Manu’s father Ramon Chao is on board to chronicle the journey. ‘The real joy is in the detail, be it Chao Senior overheating in a polar bear costume until he loses consciousness or going so native that he gets himself tattooed as his son tuts disapprovingly. By the end you’re rooting for the cast of dysentery ridden, ceaselessly optimistic ne’er-do-wells and entranced by the madness of their undertaking.’ – Q Magazine. Because Cuba is You by Ramon Chao – An exotic and historical romp through Galicia and Cuba, this magical realist story is an account of Ramon Chao’ s own family saga and the political maelstrom into which he was born, tracing a personal and political line from the Spanish-American War to the Spanish Civil War. 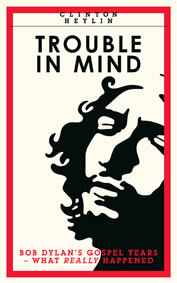 ‘A historical narrative focused on the relations between Galicia and Cuba. Well written and full of entertaining anecdotes, Chao brings an imaginative dimension to the story of emigration.’ – El Mundo. Born in the 1980s – These stories from ‘our so called generation’ are as vital as fresh air. Through love and lust, broken dreams and heartbreak, we see a generation finding its feet and carving out its place in the world. ‘If you were born in the 1980s and want to reminisce about “growing up”, are twentysomething and want to show your feelings instead of telling them, or not twentysomething and just want to learn something about the “next wave”, this is the book for you. It definitely captures the spirit of a generation up and coming.’ – The Bloomsbury Review. For Route’s full book list, click here. Perfect Summer Reads, the stories behind the music. A selection of first class books that take you closer to the music, critically acclaimed, independently published and great value. Includes signed copies. 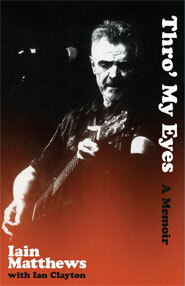 Spanning a career of over 50 years of making music, this is a compelling memoir of a life on the road, in the studio and at home through the eyes of one of our most enduring singer-songwriters. In June 1968, Fairport Convention made their official album. In the next fifteen years, those founding Fairportees would form a veritable dynasty of English folk-rock. Drawing on interviews with all the musicians and key figures. Clinton Heylin has produced the definitive history of a folk-rock family in its golden era. 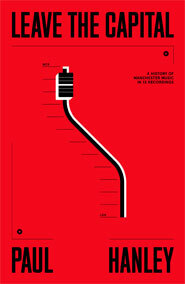 A brilliant refashioning of the story of Manchester music, paying proper tribute to the pioneers of the 1960s who not only had worldwide smash hits in their own right, but built the first world-class recording facilities outside of London that later empowered a whole new generation of punk and post-punk bands to take on the world free of intervention from the capital. 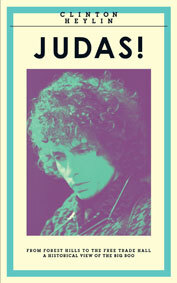 In 1979 Bob Dylan shocked his fanbase when he weas baptised a Christian and took an evangelical message of armageddon and the second-coming on the road with a full gospel show and a trio gospel-tinged albums. With access to a wealth of new material, Dylan expert Clinton Heylin brings a wholesale reevaluation of this period and reminds us why this may just be the greatest creative period of Dylan’s long and eventful career. The only insider’s account of what really went on at the world-famous Batley Variety Club, an audacious and outrageous venture by the great James Corrgian and his wife Betty. This is a story full of love, lust, voodoo, glamour and gossip, with the A-Z of the showbiz stars of the day waltzing through the doors of this enormous club in the most unlikley settings. In 1966 Bob Dylan and The Hawks found themselves at the epicentre of a storm of controversy. Their response? To unleash a cavalcade of ferocity from Melbourne to Manchester, from Forest Hills to the Free Trade Hall. Of all the iconic musicians and scenes that emanate from Manchester, Simon Wolstencroft is the one who joins up the dots: The Smiths, The Stone Roses, The Fall and everywhere inbetween. ‘Essential.’ — Vive le Rock! Steve Hanley’s sublime story about his time in Britain’s most enigmatic band. 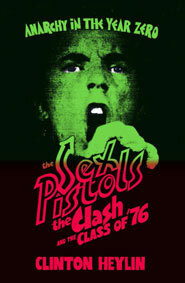 Definitive account of Punk’s Year Zero, 1976, a youth cultural movement that changed the country for good. A magic carpet ride through the heights of Madchester and the bumpy landing on the other side. Our bestselling title, a breathtaking musical odyssey that reveals the secret that connects music to our heart. A crazy rock and roll tour, with full circus entourage, through one of the most dangerous landscapes in the world. What could possibly go wrong? The inside track on the Blind Couple of Mali and their spectacular rise to global success through adversity, rich in Malian colour and atmosphere. What connects Peter Green to the Red Army Faction? Music and politics combine to provide a prescient exploration of what unravels when youthful idealism meets the full force of the state. For some there is no better gift than a good book, where the thought really does count. Here is a dozen gift recommendations from readers, Route’s bestselling titles of 2013. All independently produced to engage, inspire and to entertain, these books wont let you down. A signed book from an author can turn an item of personal value into a cherished keepsake of financial worth, is a wonderful addition to any book collection, and they also make special gifts. We offer signed copies of a selection of our titles. Our music titles have been bestowed with Book of the Year Awards from Rolling Stone, Mojo, Rough Trade, Guardian and Reader’s Digest, and have been deemed worthy of being shortlisted for the Penderyn Music Book Prize, NME Book Award, Association for Recorded Sound Collections Award and PEN Ackerley Prize. Give the gift of the stories behind the music this Christmas. Iain Matthews’s compelling memoir of a life on the road, in the studio and at home, through the eyes of one of our most enduring singer-songwriters. Choice of First Edition Hardback or a Deluxe Edition, which comes complete with an accompanying double CD of Iain’s songs. 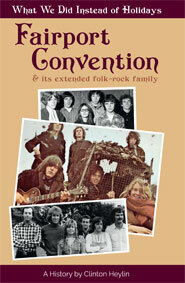 A comprehensive new biography of Fairport Convention and their many offshoots, telling the full story of English folk-rock in its golden era (1968-1982). 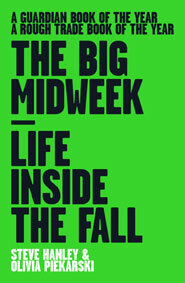 The Big Midweek is Steve Hanley’s multi-award winning memoir of his 18-year stint in The Fall. You Can Drum But You Can’t Hide by Simon Wolstencroft, a legendary Manchester drummer and the only man who can connect The Stone Roses, The Smiths and The Fall. Carpet Burns is Tom Hingley’s memoir of his time with Inspiral Carpets. Leave The Capital by Paul Hanley re-fashions the story of Manchester music through the prism of two studios, connecting bands such as Herman’s Hermits, The Mindbenders, The Hollies and 10cc to the post-punk Manchester music story. The Train of Ice and Fire by Ramón Chao chronicles a madcap tour through Colombia with Mano Negra. Bringing It All Back Home by Ian Clayton is a modern classic, a best-selling memoir of how music connects to our lives. Away From The Light of Day is the heart-warming story of the blind couple of Mali, Amadou and Mariam. Anarchy in the Year Zero is Clinton Heylin’s gripping account of the punk explosion of 1976. 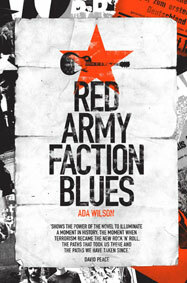 Red Army Faction Blues is a fictional account of the circumstances surrounding Peter Green’s acid trip at the High-Fish Commune in Germany. 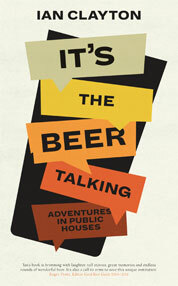 Not offically released until February 2019, we are offering exclusive advanced signed copies of Ian Clayton’s hilarious new memoir of a life in public houses direct from our website. If you prefer to buy from Amazon, click here for a shortcut to a selection of our titles.